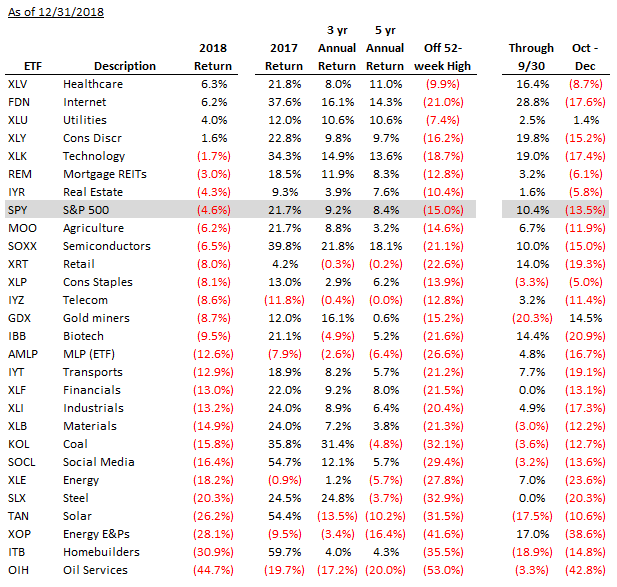 Continuing with my 2018 year-in-review series, let’s take a look at U.S. sectors and industries. There were very few areas with positive returns concentrated in health, consumer and tech (Exhibit 1). Various flavors of energy and materials had another bad year driven by soft commodity prices. Homebuilders were down 30% as housing market got a little softer with rising mortgage rates, less affordable home prices and tight construction labor. Uncharacteristically, Social Media had a less than stellar year with Facebook and many Chinese companies dragging it down. Let’s take a look at some individual stocks. 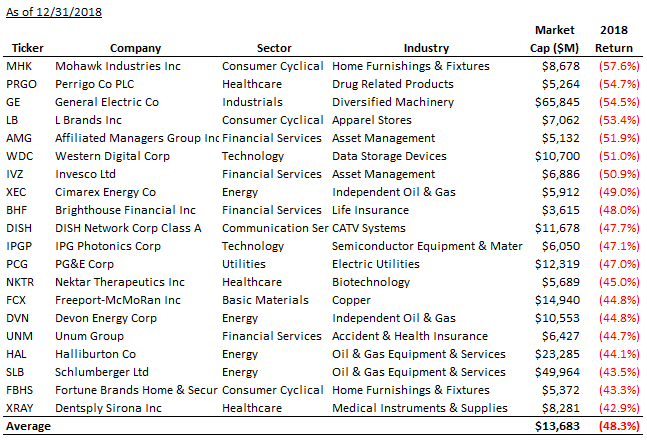 Exhibit 2 shows 20 best performing companies in the S&P 500. 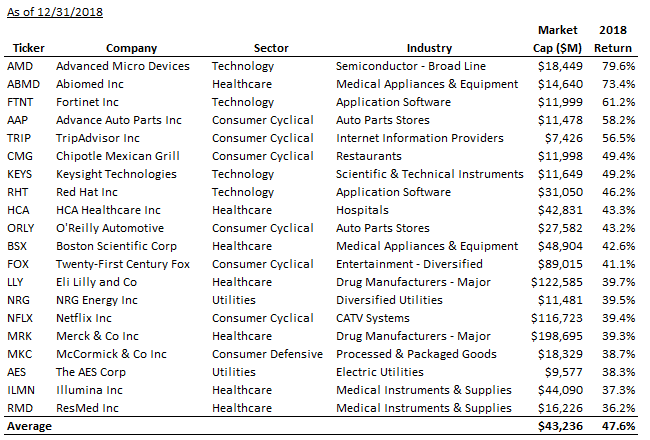 A lot of tech and healthcare names as well as some consumer story stocks (very similar to last year’s table). The laggards are a mishmash of energy, retail, asset managers and insurers (Exhibit 3). General Electric lost another 55% in 2018 after dropping 42% in 2017. PG&E also had a bad year with California wildfires and it got even worse in 2019 as the company is nearing bankruptcy.